I'm so excited to tell you about this GIVEAWAY from Lisa Leonard Designs!! Her jewelry is so unique and just looks like it was made with love. I have been making jewelry since high school but I decided to get serious after my first son, David, was born. I wanted to start a small business that would enable me to quit my job and stay home with my boys. At the time, I had never taken any formal classes or received special training in jewelry making. I just went for it! I am kind of the 'jump in and learn as you go' type. 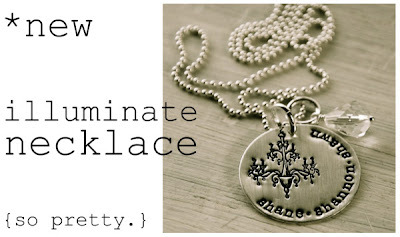 Creating jewelry not only allowed me to work from home, but has connected me with so many amazing women along the way. My desire is to create simple, lovely pieces that can be worn with jeans or your little black dress. I want each piece to meaningful. 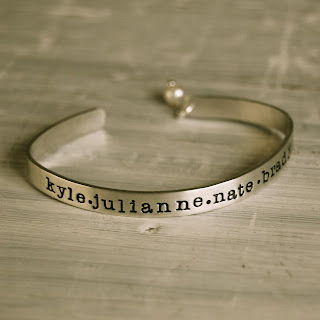 Our custom jewelry is hand-stamped with your kids’ names or a special phrase or verse. I love to touch my necklace throughout the day and reflect on my husband and my sweet boys. Each piece we create is a work of art—hand cut, hammered, polished, drilled and assembled with care. I am inspired by other artists--painters, scrapbookers, clothing designers and poets. I also love to soak up nature-the sky, the sea, the green hills. I let all these ideas and images swirl around in my mind and then I create. When an idea hits me I sketch it out and play until the perfect design comes together. Lisa Leonard Designs exists because moms, grandmas and friends have shared our designs with each other while waiting in line at the grocery store or sipping coffee with a friend. Lisa has generously offered to give away one of her beautiful pieces to a reader. How cute is the spoon above?! What a perfect gift for a new baby! And the chandy necklace below?!! Can you see how unique they are? See how the names are stamped into the sterling silver? And yes, I got something wonderful too out of this giveaway!!! Lisa was sweet enough to send me the Family Crest necklace (below) and I absolutely LOVE LOVE LOVE it!!! It's just incredible and is the perfect thing to wear everyday. Seeing the photos of her jewelry is one thing, but they're just amazing in real life. I haven't been crazier over a piece of jewelry in a VERY long time. I'll pick a name at Random, check back on Tuesday to see who won. If you win, you'll get to choose your favorite piece from the website & Lisa will send it to you. Lisa also has a beautiful blog here with lots of pretty inspiration. ... And I WOULD FLY!!! Lisa's jewelry is awesome...love the chandelier necklace. My superpower would have to be getting the ironing done in lightning speed!! New to your blog-enjoying very much! As for a superpower, as a mom, I think cloning myself would come in handy! I'd want the superpower of flight - it just seems like a cool thing to be able to do. I love Lisa Leonard jewellery. I love her jewelry! Thanks for the opportunity to win a piece. Superpower... is sound sleep a superpower? If it is, I want it! ha ha. I have a 5 month old and could sure use it. :) For a more "traditional" super power, I would choose speed... then I could get more done every day! I think that if I had to chose it would be to stretch time (so I can get everything on my Daily Do list done) :-) And also to be able to spend more time with Hubs (since he works OOT every week). Oooooh what a fab giveaway! Superpower....not ever having to sleep! Just go go go! That counts, right?! hmmmm i love mystique from x-men and always thinks her power of being able to transform into other people is really cool. or perhaps being invisible. that would be cool. i could get to these job interviews early - listen in on what they want in the perfect candidate - and repeat it back to them once it was my turn :) ugh, i can't pick one. too tough. reading peoples thoughts would be cool but i worry it would be "noisy" all the time. & what a fabulous giveaway! her pieces are awesome. LOve her jewelry...I think flying would be mine!!! Lovely jewelry! I wish that I could hear my dogs' thoughts! Beautiful! I too would love to be able to fly!!! Love your blog, I am thinking that you are a true superwoman! However, if I could have a superpower, a this moment in time, there is no question, it would be to help the suffering that the Haitians are feeling - NOW! I'm with you, I want to fly! Love the family crest necklace! i love lisa's work. a friend of mine got one of lisa's necklace's for mother's day this year. isn't that a perfect mother's day gift? i would love to have the power to spend more time with my relatives that are no longer here on earth. bring them back to life... visit them in my dreams... i'll take them any way i can get them! Yay!!! I love her stuff. Humm I would want to stop time. Although I could stop time I wouldn’t stop and I could unfreeze any one I wanted. Well being in the lactation field...I have always loved the quote " I breastfeed, what's your superpower?" Hmmm. Mine would be a toss up between swimming underwater without gear....fast and quietly. Or flying. I do both in my dreams sometimes and it is just amazing! Wow gorgeous jewelry! If I could have a super power it would be that I could snap my fingers and my house would instantly be clean, that way I could spend more time with my "nestlings." If I could choose a super power, it would be time travel!!! I am LOVING these necklaces! My super power would be mind reading, so I could finally figure out my husband!!! If I could have any super power it would be flight as well. How cool would that be? My super power would be that I could eat anything I want and not gain weight! My favorite superpower would be to drop pounds at will--and in just the right places. My superpower would be to fly so I could travel without the hassle! I love my flying dreams too! That's what I would want. Great giveaway! I played the game with my 5 & 4 year old boys the other day and we decided flying would be the best, but also breathing underwater. Wiah I could swim with the dolphins! I would be able to draw beautifully - that's a superpower to me! Gorgeous jewellery! I would like the superpower of having the whole house cleaned and organized at once! Love her jewelry! They are exactly the unique kind of pieces I love incorporating into my jewelry and home design. I would have to say that I would like the power to have more time in a day to get things done. Because there is A LOT I would like to be doing but don't have the time for! P.S. I love your blog!! I would love to be able to go back in time and re-live moments when my daughters were little. Time just flew by...they are big girls now. Thanks for the great giveaway !!! Superpower, what a funny question. I think I would like super-speed! Then I could get my house cleaned in one morning! I would choose super-flexibiity/stretchability - like in the Incredibles! Both physical - and emotional! I think the two in one is a great combo. To remove, end or resolve conflict. Yep that's what I would choose. Great thinking question. My superpower would also be to be able to understand and speak all languages. My superpower would be reading people's minds! Ok, the breastfeeding thing killed me...that is a superpower! The jewelry is gorgeous. I think I want one of everything. I think I would want premonition. Flying would be cool, but I am afraid of falling (not heights -- just falling...which is weird). Her jewelry is truly a work of art! Hmmm...the superpower of organization would be my speciality! Loving your blog! I love her jewelery. It's so breathtaking! Having 3 kids, keeping a home and a business and a husband all happy are my other Superpowers- and surviving a home renovation....eeek! As a mom of twins I want to be able to sprout extra appendages at will. 3 or 4 arms would be great for all moms, but absolutely essential for moms of multiples. Cool jewelry! For super power I would choose the ability to love as God does. Love the jewelry! I would love to influence everyone to think positive; negativity is so pointless. The jewelry is so special and beautiful, I love your family crest necklace, so amazing! I would fly. Definitely. No question. love her jewelry and I would want to fly for sure! or breathe underwater! If I could have any super-power, it would definitely be the ability to instantly travel from one place to another. My sister lives so far away, and I would give ANYTHING to have a cup of coffee with her right now! As for the jewels...they are so precious. I love the attention to detail and the sentiment. My Superpower would be to Freeze Time, just so I could think about how to respond in different situations instead always getting myself in trouble! And I would be able to do this by holding Lisa's necklace in my hand!!!! This would truly keep me out of the messes I get myself in! LOVE her jewelry. Love her story...so proud of her for 'going for it'. I wish I could instantly be in a new place with just a twitch of my nose. I'd have morning coffee with my Mom, lunch with my Sisters...and maybe dinner in Paris with my Hubby (so I guess I'd also have to be able to take people with me). Enjoying your blog so much. I would be able to read minds! I love your blog!! You and your family are adorable! What a fun way to get us thinking! My superpower of choice would be the ability to continue to do everything I do, but never feel tired. I'd love to be able to fly (at super speed of course) so I could easily spend time with my family, even when work requires me to live on the other side of the world. Well, since having four hands is about as gross as having a tail, I'd have the magical power, ala Harry Potter, to yell "accio!" and whatever my poor two, boy-filled hands couldn't reach would zoom to me! great blog and great giveaway!! i love to travel but hate airports. i would love to snap my fingers and be either in italy or at a beautiful beach in seconds. If you could have any superpower, what would it be? teleportation :) knock down my commute and give extra days on vacation for relaxation! Love her work! Thanks so much for sharing!! First of all...love her work! her designs are just so beautiful and take the hand stamped jewelery to a new level! just beautiful! Secondly... I would teleport! Not like time machine teleport, but just from one place to another! And I would be able to take my hubs with me! That way we would get to see the world and do all the traveling I want to do and never step foot on an airplane (my hubs is scared to death of airplanes). Teleportation would be AWESOME! I love Lisa's jewelry!! For a superpower I would pick time-travel and making things disappear! How cool would that be? First, I think Lisa's jewlry is wonderful. Second, I would choose as my superpower the ability not to worry. My grandmother thought worry was a sin, and just led her life making the best of what came to her and workign hard to change what she could. She didn't worry, she took action instead. If I could have any superpower, I would have to say that I would want the ability to transport myself anywhere on the planet within a snap. What a great way to visit family and friends that live far away. I'd love to get that spoon for the baby my brother is having! I'd love to be lightining quick like Mrs. Incredible! Oh my goodness, this jewelry is so gorgeous. Love! My super power would be lightening speed so I could get everything done and still have time to chill at the end of the day. My favorite part of the morning is seeing what you have to share with us! Thanks so much for adding a perk to my day. This jewelry is awesome and great because it is so unique! Flying would be my choice! Thanks for the chance to win! I would love to read minds! Love her jewelry. My superpower would be snap my fingers to change anything. Love your blog and that jewelry. I am going to copy the teleproting idea-how cool would that be? I love all of her pieces! Super power? I would take the lightning speed ...but I would need super energy to keep up with it! * I immensely admire what LISA "D*I*D"... HOW she ADDRESSED "HER DREAM", had the GUTS & took the CHANCES for her to get out there & "just do it", & THEN see how beautifully her personal vision turned out! THAT is truly "LIVING A DREAM" in which all can share!!! Learning that you really CAN do ANYTHING!!! WOW!!! For ME, on a more "personal, self-centered goal", I would wish eternal GOOD HEALTH (make that exceptionally good, considering what's gone on the last 4-6 months healthwise!) & the required energy to tackle allllll I'd like to do in this beautiful life! Thanks for a DREAMY, LVELY & LOVELY WAY to START THINKING about THE DAYAHEAD!!! I would just take Harry Potter's invisibility cloak and be super happy:) Love Lisa's story and her work, thanks for the give away! I think I'd like the ability for time travel as well. Thanks for the kind comment on my blog. Yes, Lauren, Lisa's jewelry is even better in person! How about a laundry-monster-slaying superpower? This is an awesome giveaway! I love her jewelry line!! My superpower would be to do time travel... Many times I'd like to go back and re-live some of my childhood memories specially the ones with my grandparents who are no longer with us. Thanks Lauren! I'm a big fan and fellow NoVa resident! I would want to be invisible. I guess that doesn't really help people, but it would be fun! This is cliche but I would want to fly. I would love to get anywhere fast. I love the designs. My niece is finishing up her college education in Metalsmithing. She will be so excited to see the website. I would love for my superpower to be like Elastigirl (The Incredibles, I'm a mom). I could multitask and spend more time with my kiddos. Such pretty pieces! I would love to have the power to stop time - so I could finish all of the little nagging things I have to do and enjoy more time with my little girl! Oh Lauren, I love the necklace Lisa gave you. I would choose one just like it! My superpower would be to play the piano beautifully. Never have played and have always wanted to have that gift. Having an awesome voice to along with it would be cool too. Hmmm . . .I've never won anything, but can't stop trying :) My superpower would be breathing under water, I had dreams like that as a kid. As far as superpower, I have to jump in with the time travel crowd. I love Lisa's pieces. I just ordered her ornament thsi year for gifts and they were all perfect. My superpower- flying would be cool, but I'd really like the ability to make people tell the truth. I would be great at trials-did you steal this? Yes! Case closed. Oh her jewelry is amazing! If I could have any superpower I would like to be able to ime travel!!! I'd love to be able to eat whatever i want without working out! These are so cute, thanks for the fun giveaway! My super power would be that I would never need to sleep; I could stay up all night cleaning and getting things done. Oh, wait. I do that now ;>) Well, you get the idea. Thanks again! I would love to be able to read children's minds. I am an elementary art teacher and there are times that I would love to know what is going on in their little heads!! LOVE Lisa's jewelry...and her Web site is a great reflection of her creativity! Thank you for doing the giveaway! Your blog is such an inspiration :) Keep up the good work! Wow, lots of comments to scroll through on this one! I think that speaks to how beautiful Lisa's jewelry is! I would love the power to heal...just to be able to see an injury or illness and make it disappear! Can you imagine ridding the world of cancer, aids, everything? Love her jewelry, beautiful and from the heart. I would like to have Mary Poppins' ability to snap my fingers and have all the things around me suddenly become able to fix/clean themselves up! I would love to be able to time travel where ever I wanted (too cool) but I often dream about flying so that might be the one for me! i'm always amazed when i see two of my favorite blogs have a connection. it's a small blog-world. i wish i had the power to never need to sleep. imagine how much could get done! Hi! My super power would be to be invisable, kinda like a fly on the wall. If I had a superpower, I would want to be able to motivate others. I would love to be able to stop time! Superpower - either invisibility or mind reading. hmmm....being able to predict winning lottery numbers? that would be sweet! Hey, at least I'm honest! My superpower would be to make time stand still...how else could a mom of two kids two and under get everything done? Love your blog. My super power would be to move strong buildings and help the people of Haiti get out from underneath the concrete. I would love to be able to blink and be anywhere in the world...blink and be in Paris, blink and be home. What a wonderful giveaway. And I love that new design. Gorgeous. Walking through solid objects. Yes. Would very much come in handy to one who is expert at forgetting and losing her keys and finding herself in sticky situations. My super power would be to snap my fingers and anything could be complete like chores or work. That would be wonderful! LOOOOVE the family crest necklace! Her jewelry is very sweet. You can tell a lot of thought goes into each piece! I love the bracelet with the kid's names on it. What a great Mother's Day gift! My super power - To be in multiple places at one time. I'm featuring a new artist on my blog today! She's an emerging painter from Canada. Please check her out! And have a great weekend! I love her pieces - they are stunning. My super power would definitely be flying! I could go anywhere I want & save a ton of gas! Disneyworld here I come! love your blog! if i could have a superpower it would be the ability to read minds, which could be good and bad...i suppose that is the problem with superpowers! I'd want to know tomorrow's news today! Or at least tomorrows Lotto numbers... That'd be a real SUPER power. ha! A superpower? I would want to be able to move between places very quickly, like warp speed. If I could have a superpower, I would want to be able to time travel. love love LOVE the illuminate necklace, baby spoons and aqua stone earrings! My superpower would be teleportation - dinner in Italy and breakfast in Fiji? Don't mind if I do! The "tail" thing made me laugh so hard...your reaction was priceless!I would choose having the power to read my children's (teenagers) mind when I sense they are upset or stressed and I can't seem to figure out what the best thing to do or say. The rest of the time, it is probably best that I have no idea what they are thinking!!! I would love the superpower of being to do a "I Dream of Jeanne" fold my arms and blink and the rooms would be transformed just as I pictured them in my head! The jewelry is lovely - hoping to win! love your site .. for my super power I would definitely go with the Mary Poppins ability to tidy up the nursery. The toys march into place and the clothes fold and put themselves into their proper place all awhile I would be singing a cheery little song in the background. Let's see--I want the ability to wiggle my nose, or snap my fingers, and have the house picked up and cleaned instantly. I really hate clutter and messes, but I dislike cleaning, too. OH! 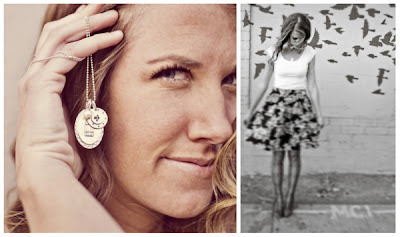 I love Lisa's jewelry and her blog too! She's such an inspiration. If I had a superpower, it would be to teleport myself places..instead of flying...or waiting in traffic! I would love to be able to twitch my nose like "Bewitched" and make all kinds of this happen! Got a piece of her jewelry as a gift for a friend, I want MY OWN NOW!!! Superpower - Live Forever (hope that isn't like healing..) I want to be like the Elf people in Lord of the Rings and live and see it all happen..
Other than that, I am with Cheri, Samantha on Bewitched would be fabulous with the nose thing!! I would want to be able to turn invisible!!! Love your blog and love this jewelry! As for a superpower I think being able to teleport would be fabulous! Lisa's designs are truly unique! Superpower...probably to be able to make myself invisible - that way, I could be a "fly on the wall" when I wanted! Very cute pcs!!! Superpower...to be able to clean my house in 1 minute or less!!!! My superpower would be to get all the unemployed people jobs....especially my husband. I agree with all of the people that said having a clean house with the snap of my fingers would be awesome. 3 kids + 1 hubby + 2 dogs = A LOT OF DIRT. i would love to be able to eat gluten, which for my body would be a super power. 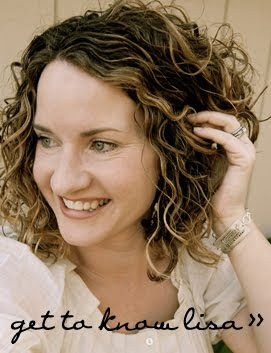 Love your blog...and i adore her jewelry! Ummmmmm I think I would like the super power to think outside the box to solve issues and problems with everthing. LOVE the jewelry!! Have to say I'm with all the ladies who want super speed...that would open up A WORLD of possibilities! SO happy to have a Lisa Leonard give away! If I could choose any super power, it would be the ability to switch powers to fit the need of the moment (taken from Heroes) be it speed, strength, freezing or changing of time), etc. If I could have any superpower that I wanted, I would want to fly because then I could explore any where in the world any time I wanted. is this cheating? i would have a power of multiple powers. i could fly, time travel, and speak with animals. haha so random. i have one of her pieces. i received it as a shower gift. it has my daughter's name on it and it is one of my favorite necklaces. My desired superpower - that's easy - to be able to fly. I've always wanted to fly. Then I could be like a duck who can walk, swim, and fly. Who wouldn't want that. I could be Superduck! Lisa's jewelry is stunning and so pure. I love that Family Crest necklace. My superpower would be to have the ability to just "beam in or out." I'm going to Paris soon and I'm already dreading the 7hour flight. Can't we just pop over? Love your blog. My superpower would be a way to get all my laundry put up right after it gets folded. Not that exciting, but it takes forever to get 3 kids clothes put back! Lovely jewelry and so perfect for the woman of today and her many roles. I could change clothes after work and not have to change jewelry - these pieces are so versatile. My super power choice would be the ability to give people the help they need to achieve mental health. I believe this would result in happy and healthy children and I also think it would be a powerful source to combat drug abuse. Her jewelry is so beautiful and personal. My super power would be the ability to be invisible (and not in the creepy way). I just think it would be so cool to go unseen at times! Thanks, Lauren. Love the blog. Recently discovered and love your blog. I'm getting ready to do the hall closet makeover. My super power would be to know which line would move the fastest at the grocery store, movie theatre concession stand, etc. I always pick the wrong one. I would fly too....love the wind and soaring in the blue sky! beautiful blog. fun contest. i would love the power to alter time---stop it so i could work and get stuff done. Not to be a copy cat, but I would totally want to fly. Love your blog. I would be able to go back in time, for sure! My power would be to instill tolerance and empathy towards others. hmm...I would have to say the power change a color of an object at will! Would come in so handy decorating my home and updating my wardrobe! 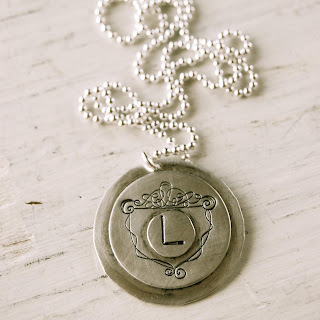 I really enjoy your blog, always beautiful, as is the LL jewelry. My super power would be snapping my fingers and having the room clean, a la Mary Poppins, spoon full of sugar style. I would like to be able to hear what babies think. They are so busy and curious about things - my 11 month old seems to really think everything through. Would also be helpful to see if he was hungry or sleepy, etc. Lisa Leonard's jewelry is lovely! If I could have any superpower, it would be the ability to beam myself- with or without my kids -anywhere. Sure would make my trip to their school a breeze! Thanks for all the great ideas on your blog! Such beautiful and personal jewelry. Thanks for introducing Lisa to me. Oh dear. Love her pieces. So neat. I don't know- maybe a magic wand that would do the work when I waved it over a pile of unfolded clothes or a dirty toilet?? My superpower would be to eat whatever I want all the time and never gain weight. The jewelry is beautiful. I would love to stop time or time travel. Thank you for introducing us to Lisa. She and her family look like amazing people with awesome spirit! Her jewelry is incredible too! Oh, gosh, this is so hard to decide...but i think i would choose to either fly or read people's minds. Although the ability to read one's thoughts might backfire on me! Lauren, I LOVE your blog and your designs. I just started following about a month ago and I check it daily! Thanks for all the inspiration. I've had 'flying' dreams and they are fun so it was a tough choice, but I'd choose being able to communicate with animals for my superpower. Hi, The jewelry is wonderful and so beautiful!! My super power would be to do the laundry, dishes and grocery shopping all with one click of my finger! I would so much rather be creating then doing those jobs. Oh and I forgot cleaning! I've loved Lisa's stuff for quite some time now. I'd love to win this! If I could have superhero powers, I would want to see into the future. I've been making some REALLY difficult decisions lately and I am just hoping for the best. To be able to see in the future...would be nice. i would choose to time-travel! Beautiful creations! My most coveted superpower would have to be flying, of course! I'd want to be able to stop time. My kids are growing up too fast. Time travel would be fabulous, so much fun. My superpower wish would be "precognition" held with respect and responsibility. Thanks for turning us all on to Lisa's beautiful work! Love your site! Love Lisa's jewelry! What a great combo! I think to make myself invisible would come in handy in a multitude of ways! I would like to be able to grant contentment.